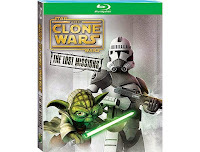 Star Wars: The Clone Wars "The Lost Missions" is scheduled for release, on Blu-ray and DVD, in the U.S. on November 11, 2014. There are still two more seasons of stories that have been written and have not been released. 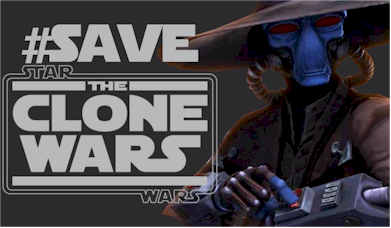 There is still Star Wars: The Clone Wars that needs to be saved. Pre-order now to show Disney and LucasFilm the demand there is for this series. Since "The Lost Missions" debuted on Netflix, LucasFilm has released most of the 2nd half of season 6, in the form of the Darth Maul comics "Star Wars: Darth Maul: Son of Dathomir", the four Crystal Crisis on Utapau Story Reels on StarWars.com, and the upcoming Asajj Ventress novel "Dark Disciple" coming July 2015. Disney and LucasFilm has noticed the continued interest, otherwise these types of things would not be happening for a show that they cancelled over a year and a half ago. 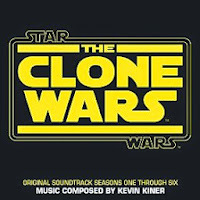 In addition to The Lost Mission release, the Star Wars: The Clone Wars (Seasons One Through Six/Original Soundtrack) by Kevin Kiner is being released on November 10, 2014, in the U.S. The album features 28 tracks of Kiner's Star Wars: The Clone Wars music from all six seasons that were completed.